Internet usage has rapidly transformed from a disconcerting prospect to an alarming reality. We now live in a golden digital age wherein people have become so absorbed in overflowing information that oversharing is now a rule, rather than an exception. It has never been top secret that online activity is far from being private. Chat, email, photos, videos, file transfers, social networking data – these kinds of user information and a multitude of other online data may be accessed through the click of a button, at any given time or place. AOL, Apple, Facebook, Google, Microsoft, Yahoo, and the other Internet giants of today are known to make our data available, and they have been reported and found to keep track of online usage. 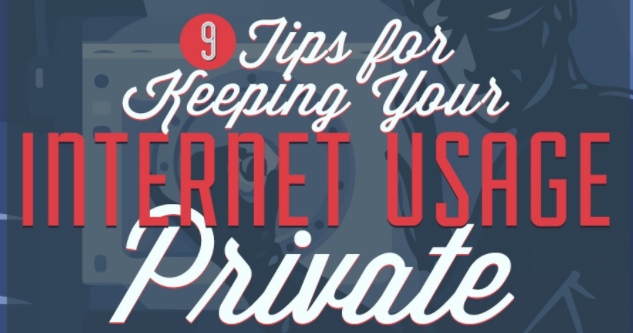 Here are some tips for keeping your internet usage private in the below infographic.